Pelican Publishing Company, 9781589802643, 280pp. Millions of Americans have discovered exactly what Chef Jude W. Theriot found when he tried a diet low in net carbohydrates: that cutting carbs is an effective way to maintain long-term weight loss because the food available on this regimen can be deeply satisfying. Chef Theriot lost more than one hundred pounds eating the recipes he developed for this cookbook. Now lovers of Cajun cooking can have their gumbo and eat it too The recipes in this cookbook cover a tremendous range from standard American favorites like pizza, (mock) mashed potatoes, and meatloaf, to classic Cajun dishes including 1/2touff 1/2e, shrimp au gratin, and even jambalaya. The seafood recipes cover just about everything that swims, and the sauces and seasoning mixes can elevate just about any dish into a special treat. There are even dessert recipes sure to satisfy the sweet tooth without the sugar. One unique feature of each of Chef Theriot 1/2s cookbooks is the lagniappe, or"a little something extra." This book includes suggestions for parties, additional uses for recipes, serving suggestions, and more. 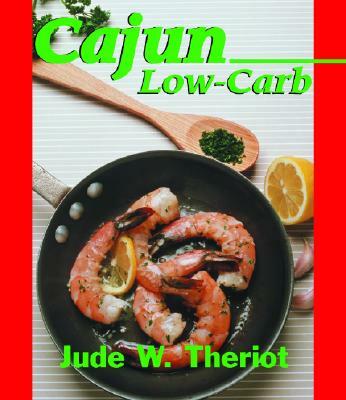 This book proves that Cajun cooking can be low-carb cooking. Each recipe lists serving size, total carbohydrates per serving (which includes sugar alcohols), net carbohydrates per serving, and calorie count.